My parents were able to peek at Jupiter on Tuesday night through the big scope, they seemed impressed. The seeing was good that evening, and I was able to capture this image. 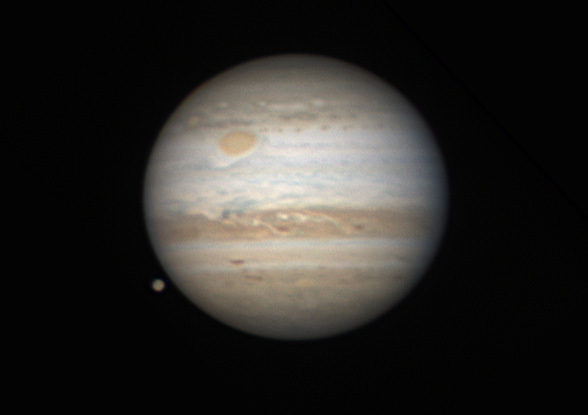 The moon Ganymede is just about to disappear behind Jupiter. Click for the full version.